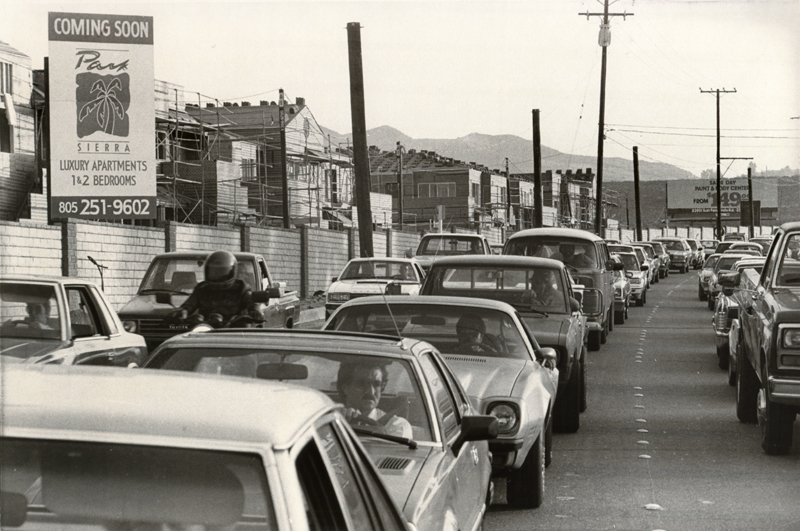 February 1988 — Afternoon rush-hour gridlock at 4:30 p.m. on Sierra Highway just south of Soledad Canyon Road, looking south. The Park Sierra apartments are under construction in the Jake's Way / Canyon Park / Sandy Drive area of Canyon Country. GT8802b: 19200 dpi jpeg from original photograph by Gary Thornhill.